Traci is a Metaphysician in the field of Energy Medicine. Her passion is teaching Self Awareness. Her gift is seeing through the layers of your bioenergetic field where non-beneficial energy gets block and to realign the bioenergetic field – physically, emotionally, mentally and spiritually. This is how the Body, Soul and Ego realignment therefore returning you to your natural state of Spiritual wholeness in this Human Experience. Her super power is the capacity to hear the voice of your Soul Energy. Her purpose is to guide Soul and Ego back into harmony through both educational and treatment processes. Join Traci each week for an hour of Exploring the Reconnection of Soul & Ego through Metaphysics, Energy Medicine, Self Awareness and Self Care. This interactive, educational session is designed to guide, teach, heal and support you on your journey to your True Path. Are you ready? As a Metaphysician, with a PhD in Energy Psychology, Traci specializes in treating emotional trauma that causes acute stress, anxiety and depression. She is an Energy Worker certified as a Usui Reiki Shinpinden® (Reiki Master Teacher) & works as a Bioenergetic Therapist specializing in BETR® Therapy (bioenergetic emotional trauma release), a proprietary energy healing method. Her purpose is to share Energy Work (Reiki, Chakra Clearing & BETR), Classical Hatha Yoga & Meditation as a registered Natural Health Practitioner (#22276) with the NHPC and may be covered by your extended health benefits. As a Teacher, she is in service to women & their families who are dedicated to creating & maintaining a conscious spiritually based positive mental attitude. She holds a Bachelor of Arts in Psychology, a Bachelor of Metaphysical Science & received her Bachelor of Education. She holds a Master’s Degree in Metaphysics, a Doctorate in Energy Psychology & is in the process of completing a Ph.D in Metaphysical Counseling. She is a Reverend, with the non-denominational title of Minister & is registered through the International Metaphysical Ministry out of the University of Sedona. 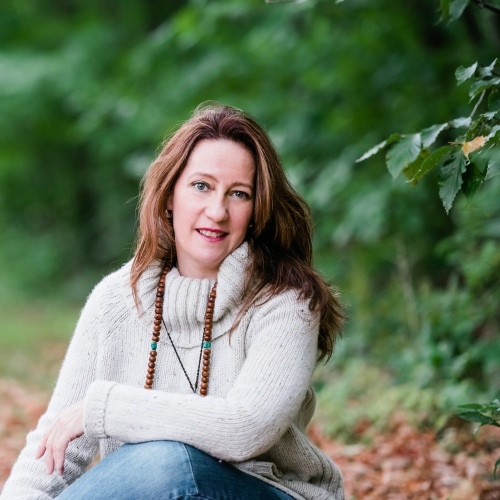 Traci is passionate about teaching Self Awareness & Spiritual Connection through ongoing personal & business development programs like Reiki, Chakra Balancing, Discover Your Authentic Self, Learn the Art of Meditation, and Conscious Entrepreneur. Today, she is a Solopreneur in Professional Practice through her company True Path Consulting & Continuing Education located in Brooklin, Ontario, Canada. What does Depression, Anxiety & Acute Stress have to do with Self Awareness?